Anterior osteotomy of the lateral femoral condyle was designed for the treatment of recurrent patellar dislocations. 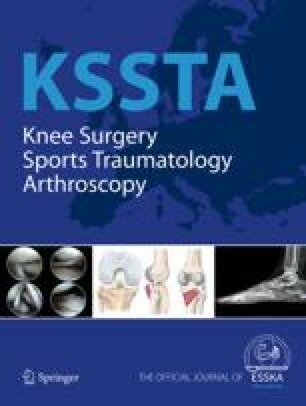 This study examined whether anterior femoral trochlear osteotomy significantly elevates contact pressures in the patellofemoral joint. Static intrajoint loads and contact area determination were recorded using prescale Fuji pressure-sensitive film under static loading. Peak pressures, average pressures and contact areas of the patellofemoral joint were calculated on intact specimens and after anterior osteotomy of the lateral condyle. Our results indicate that a 6-mm or 10-mm anterior osteotomy of the lateral condyle significantly elevates patellofemoral contact pressures.